Church hospitality is evangelism. Welcome ministry has a supporting role in the work of making disciples, but it is not evangelism. (Evangelism) Ministry Team is responsible for greeting visitors to our church. Visitors receive a visit from a member of our congregation who brings them cookies, a church brochure, a newsletter, and a pen. They also receive a letter from the pastor thanking them for coming and asking if they would like a more formal visit from the Pastor and a lay person. It is a group of men and women called to use their gift of hospitality to welcome visitors and members one Sunday morning each month. We organize a post service lunch to help visitors feel welcome, and need team workers to organize, serve, and clean the tables. Evangelism, defined as I use it here, is focused on the verbal proclamation of the message of the cross. Hospitality ministry is focused on the experience of the first time visitor, repeat visitors, and members who attend your church. Connecting Visitors to your church. 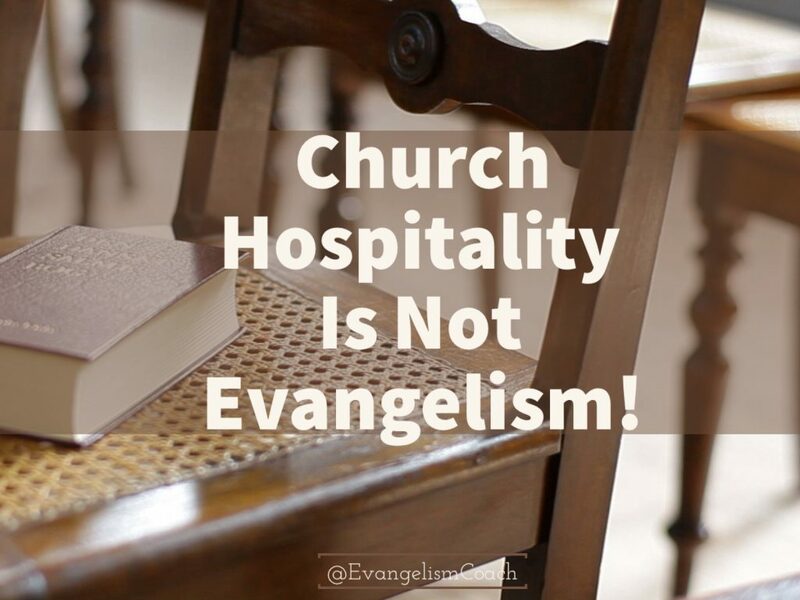 Evangelism ministry and hospitality ministry are not the same, so stop calling it that! Part of my work as church hospitality coach allows me to be a first time visitor in churches. I’ve also listened to many people who make visits to churches as the first time visitor. I read the last page of Outreach Magazine, which is a short interview with a first time church visitor. One thing has consistently risen to the surface. The ability of a first time visitor to connect to the worship service was directly impacted by the warmth of the welcome experienced. When people stare at you for not dressing right, you want to hide, but feel trapped. a distraction free environment to enjoy the entire worship service. There is a greater likelihood (from a human point of view) of greater connection to the local church during that stage of their spiritual journey. Hospitality ministry helps with the evangelistic work of the church because it encourages a return visit. Another service that I offer church hospitality is some personalized coaching. Usually, I spend time on the phone with your committee, up to 90 minutes, where I help you trouble shoot and develop some action plans. Read more about the welcome ministry coaching call here. Welcome to this particular ministry in the local church! I’m glad you are excited. I have a third one particularly for greeters and church greeter training. This will begin to start framing the issues. It’s nearly 100 pages long that looks at the big picture of church hospitality and identifies the major areas for someone in your position to start looking at.